Showing results for tags 'tt games'. So I thought I'd start this thread to start a discussion about the potential upcoming game TT Games is supposedly developing. And I just wanted to give my predictions and see what you guys think as well. So I've been watching the prominent LEGO Dimensions Youtubers videos about Dimensions cancellation and I believe I was watching Jayshocksblast's video. Anyways he said that Dan (Bricks to life) had been updating him on what was happening with TT Games and their planned projects. 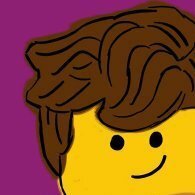 He said that there will be two full games released in the next year and one of which will be based on an upcoming LEGO Movie and the other is a property that they would be returning to. Jay says that I really hope that this time they include "him" in the game this time. Now some people think that he's referring to Marvel or something else, but I am almost 99% certain he is referring to Luke from the TFA game. So I think the two games will be a Ninjago Movie game as well as a Last Jedi game which of course this time around the game will have to feature him since the name of the title is about him Anyways what do you guys think? Something else perhaps like POTC5 or FB2? And mods feel free to lock this thread if you don't think it's relevant.. I can`t imagine that i`m the only one who is wondering about this. I know that some of the newer Lego Games have quite a nice Array of brickbuild Ingame Objects and Vehicles and i`ve always wondered if there is someone or a Group that collects Infos about them and try to build them in LDD or physical Bricks. So,anyone can lead me to some Infos? http://www.thehdroom...ing-2015-84166/ So yeah, another Ninjago game for the 3DS and PSvita, but this time... Well, that was unexpected. More information on the plot of the game: So, what do you think?